Are you having issues with Pandora mobile app or seeing the dreaded Pandora not Working error messages? Here are some tricks to get it all fixed up in a few minutes. For those hearing about Pandora for the first time: It is a popular music/radio app for iPhone, iPad, Android, Windows phone and Kindle fire. 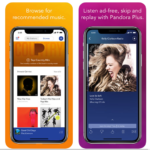 Pandora mobile app is arguably the best music streaming app any smartphone who is a lover of music and entertainment would have installed on his/her phone. It comes with automated music recommendation feature and internet radio service, which is powered by the Music Genome Project. Let’s save ourselves further explanations and get down with the real thing we have at hand – “7 ways to fix Pandora not working error”. 5. Have you checked your network? In this section, you’ll learn the 7 different ways to easily fix Pandora not working errors and/or similar Pandora mobile app issues on iPhone, iPad, Android, Windows mobile and Amazon Kindle fire devices. This is one of the easiest ways to get this issue fixed up. In fact, this method works for various smartphone problems and not just for Pandora mobile app. Powering off your device sends every app on the device to a stop, it also – stops most background processes that are likely to be the reason why the Pandora app is displaying an error message. Restarting or doing a soft-reset of your smartphone is one of the easiest Pandora troubleshooting methods to try out when you run into such problems. Once your phone is turned off, wait for about 30 – 60 seconds before powering it on again: This is to make sure that every app and processes stopped properly. After the few seconds, power on (reboot) your device and reopen the Pandora app. It’d start working correctly, if the issue was caused by conflicting background processes or similar bugs. If you do not want to reboot your device because of some personal reasons, you can try this second method. Simply minimize the app, depending on the type of smartphone you use -> open your recent active apps and swipe off the Pandora app==> this exercise will force the app to stop immediately. You may even clear the whole active apps if you wish. Now, relaunch/reopen the Pandora mobile app. Most times, when other apps crash on the background they affect the Pandora app, that’s why you have to close and reopen it again. Whenever a developer comes up with a newer version of his app, software, or whatever: It means that the earlier version is outdated and can cause problems as a result of incompatibility with OS and/or other app/library. So, you should check if your Pandora app is still up to date, and always try to update it to the latest version whenever there’s a new version. Most people who complain about Pandora not working errors are those who are still using an old version of the app. Updating Pandora mobile app wouldn’t take up to 5 minutes of your time. Have you ever thought of this simple Pandora troubleshooting method becoming a solution to your problem with Pandora? Well, as crazy as it may seem, uninstalling and re-installing Pandora app can fix the ever-annoying “Pandora not working” problems. The only inconveniencing part is that you’d have to uninstall the Pandora app that’s currently installed on your device and reinstall a fresh one from your app store (Google Play, Amazon app store, iTunes and etc). How can this Solve Pandora Not Working Issues? When you uninstall the current version on your device, you are now very sure that you’re going to download the most recent version of the app which must have been optimized for your current OS version. Also, the bugs on the older version would go with it, while you install a fresh copy from your phone’s app store. I recommend you download this app from your main mobile app store – (Playstore for Android users and iTunes for iPhone users). Sometimes, poor network connections could be the reason Pandora is not responding well to your commands. Crosschecking your internet settings and possibly running a network reset before trying to use the app is one of the best ways to troubleshoot Pandora not working errors. This method is most likely to solve your Pandora not working issues if it’s caused by connectivity problems. We’ve noticed that most times one can get access to Pandora via wi-fi connection but can’t gain access while using cellular (mobile) data. So, you should also consider connecting to your home WiFi or other secured wireless network access before attempting other recommended fixes. Have you downloaded the latest version of Pandora app and it’s still doesn’t want to grant you access to stream your favorite stuff? okay, maybe you should update your device operating system at this time. Yes! head straight to your device options and check out for your device OS updates, ==> upgrade to the most recent version. Unfortunately, if your device doesn’t support OTA (Over the Air) updates, then this method won’t work out for you. But we’re hoping that the other methods (discussed above) will help you fix the issues with Pandora mobile app. Lack of OTA update feature support issue is usually common with low-end Android smartphones. iPhone and iPad users can update their operating system versions easily. Have you tried all the 6 aforelisted methods and Pandora app hasn’t started working the way it should? Well, the last option is to get in touch with their technical team via email or social media channels. This way, you’d be able to figure out the exact issue and how best to get them fixed. You can contact Pandora customer service staff by sending an e-mail to the company’s email address or by using their social media handles. You can easily find their official email address on the app’s description section of your cell phone’s app store. We believe that these are the safest methods or best ways to fix Pandora not working issues on Android, iOS, Kindle fire and Windows mobile. We strongly recommend you check out these Pandora troubleshooting methods before concluding it’s a developer’s fault. Have you have tried any other method (apart from these 7) that fixed Pandora not working issues for your phone? We’d love to hear them out. Please do share them with us below by writing out the steps you took to fix Pandora app problems.